Rep. Jim Jordan – the powerful Republican founder of the House Freedom Caucus, staunch Trump ally and dark horse candidate for speaker – is denying new claims that as an assistant wrestling coach at The Ohio State University in the late 1980s he failed to address alleged sexual abuse by a team physician. House Speaker Paul Ryan, through a spokesman, called the matter "serious." A Ryan spokesman clarified that the "serious allegations" referred to include both "the molestation and the failure to report." 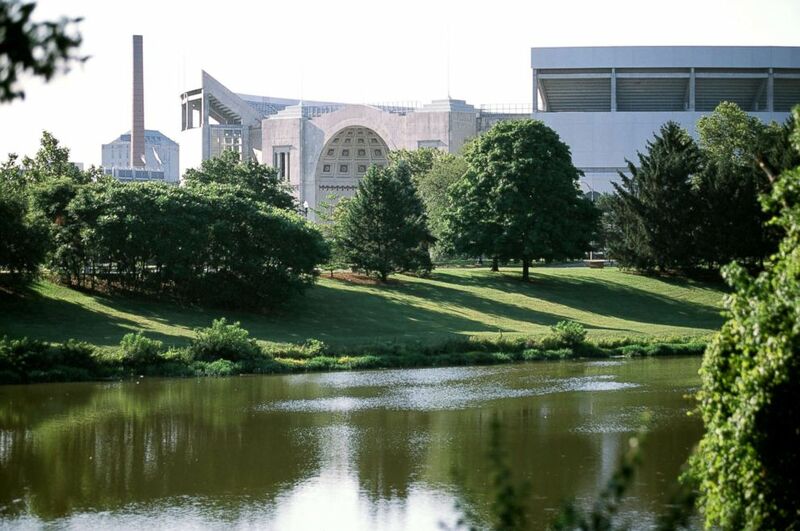 In April, the university announced an investigation into recently surfaced allegations against the former wrestling team physician, Dr. Richard Strauss, who served between the mid-1970s and late 1990s. Jordan was an assistant coach on the team from 1986 to 1994. Strauss died in 2005. Three former OSU wrestlers have now gone public with their stories, detailing alleged sexual molestation by Strauss during medical appointments to NBC News. One man said he directly reported the abuse to Jordan; all three said Jordan could not have been unaware of the inappropriate behavior. Jordan has consistently denied witnessing any cases of abuse or receiving any reports of misconduct from the student wrestlers. “Congressman Jordan never saw any abuse, never heard about any abuse, and never had any abuse reported to him during his time as a coach at Ohio State,” Jordan spokesman Ian Fury told ABC News in a statement. A general view of the Ohio State Buckeyes campus in Columbus, Ohio. The university says its investigation includes “outreach to former student-athletes, coaches and others who may have been affected or may have had knowledge of these alleged incidents.” Fury says Jordan has not yet been contacted by investigators but will cooperate. “If what is alleged is true, the victims deserve a full investigation and justice,” Fury said. Later Tuesday, Fury responded to statements from the law firm conducting the investigation on the university's behalf that it had contacted Jordan's office by email and phone to request an interview but had gotten no response. “Despite claims to the contrary, Congressman Jordan’s office has not received a request for an interview from the investigative team. We have demanded that they send us the supposed communication and remain willing to assist in any way that we can.,” Fury said. Jordan, who frequently talks about his roots as a wrestler prior to a career in politics, has kept close ties to the sport. He was a two-time national champion wrestler at the University of Wisconsin and a three-time All-American. His brother Jeff Jordan also wrestled at Wisconsin from 1983-86 and was a two-time All-American. Jordan’s sons also wrestled at Wisconsin - Ben from 2008-12, including as an All-American in 2012; Issac from 2012-17, a four-time All-American and current assistant wrestling coach at the University of Indiana. Investigators appointed by the Ohio attorney general say they have interviewed more than 150 former students and witnesses. They have amassed reports of alleged sexual misconduct by Strauss spanning 14 university sports programs and former patients in the student health services.